The slump in PC shipments to the UK has continued as vendors reduce stocks in anticipation of the arrival of Haswell-powered models and the Windows 8.1 operating system, according to IT analyst house Gartner. Its report on the market in Western Europe for the second quarter of 2013 shows the total for the UK was down by 13.0% on a year previously at 2.19 million, showing the 11th consecutive quarterly decline. Ranjit Atwal, Research Director at Gartner, attributed the fall to a shrinking in the notebook market, and changes in product lines as vendors made room for PCs using Intel's new Haswell processors. "After several depressing years the PC vendors are now at a make or break point in this industry," Atwal said. "The product transition involving both hardware and the upgrade of Windows 8.1 needs to reverse the steep declines we have seen in the PC market." 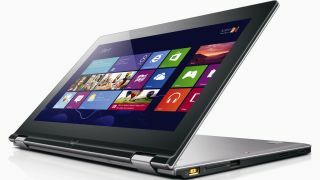 Lenovo was the only manufacturer to defy the trend with a 28.6% increase in shipments to 234,000. HP remained the top of the supplier table with 436,000, followed by Dell with 310,000. The UK slump reflects the trend throughout Western Europe, for which there was a 19.8% year-on-year fall to 10.94 million units. Meike Escherich, Principal Research Analyst at Gartner, said: "The market exit of the netbook PC and vendors reducing their inventory to get the new Intel chips and Windows 8.1 have fuelled the decline in Western Europe." But she added that there are signs of an upturn by the end of the year. "We can expect some attractive new PCs in the stores in the fourth quarter of 2013, running Windows 8.1 with thinner form factors and longer batter life enabled by Intel's Haswell processors," she said. "These PCs will compete with high end tables and will be complemented by a new generation of Atom-based devices that will compete with low end basic tablets. Check out our ratings of the top 10 business laptops.